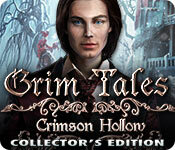 Grim Tales: Crimson Hollow Collector's Edition is rated 4.1 out of 5 by 49. Rated 5 out of 5 by broadwaysweetie from Best Grim Tales Game Ever I play all the Grim Tales games and this by far is the best, in my humble opinion. I love the story and hope we see more of Anna and Dorian in the future. Rated 5 out of 5 by rpggramma from ONE OF MY FAVORITE SERIES! Good as usual! Always interesting. Always have everything to make the game fun and playable. Good maps, good info, graphics, voice. Good story. Puzzles are many and very good! Game is long, (at least to me) and Bonus is, as well. Many things to do and see. You will enjoy! Rated 5 out of 5 by Arien1 from I think this one is my favorite of the Grim Tales games I've played all the Grim Tales games and really enjoyed them. The characters and storyline keep me coming back for more. This one not only did not disappoint, but I think I may have enjoyed it more than any of the others. It was creepy and had a nice, unexpected twist to it. I felt that the dialogue and overall storyline were just extremely well written. The puzzles ranged from quite easy to challenging. There were a few points at which I had to use the hints to figure out what to do next, but that might have been because I was really tired during those points. The ending of the bonus game really makes me wonder what is coming next from this series and I really hope we get to find out. Rated 5 out of 5 by cathiasplace from Loved it! I had this demo in my BF game application. After finishing another game, I decided to play it. As it starts out, I'm thinking that I've played it before! I check my purchase history and it's not there. It's driving me crazy because I am sure I recognize the game! Oh, I played the beta version! hahaha Anyway, I loved the game! This was another can't put it down story line which I really enjoyed. The art work, HOs, and games were fun as well. I prefer games that have a good amount of back and forth. I don't like finishing an area and never going back to it again. Games like this make me think and remember more where the items are needed. I definitely recommend getting the CE version, the bonus game is needed to tie up loose ends. Plus, it is a good length for a bonus chapter, which is nice. Rated 5 out of 5 by smilingsun72 from A new Case! A new Twist! Completed CE: Anna is back in an all new mystery. Help find out what is going on at Dorian Black's estate when Stacy Gray goes missing. Solve easy to hard puzzles that are interactive. Visit beautiful scenes in the present and past. And collect puzzle pieces, pictures and morphing objects for extra fun. And the bonus chapter is a wonderful wrap up to Anna's story but a beginning for Stacy. I didn't go into much detail because I didn't want to spoil game. I have all the games in this series and love them. I recommend them all. If you buy the SE or CE you still get the main games, which are all wonderful. Rated 5 out of 5 by Tahkanne from Excellent game; beginning to end, and then some! I've just finished Grim Tales, Crimson Hollow and, without question, it is a great game, beginning to end. It would've been great if the mini-game challenge level had been at least twice what was but, the HOP's did a good job of making up for this disappointment as they were, while not 'headache causers', difficult enough to be that good kind of fun I look for and enjoy in HOP's. Visually, musically, sound effects, and, for me, of premiere importance, ambient sound, this one was all strong four star: no complaints of note; just enjoyment and smiles. Crimson Hollow gives us huge game value. 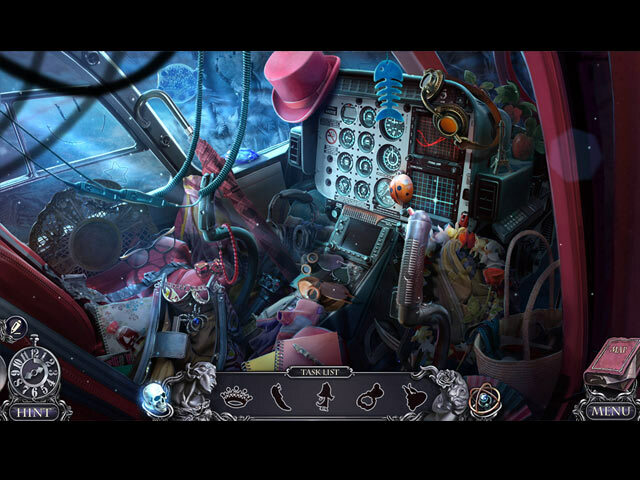 The game is full of places and rooms to go to and be involved with, including going back in time (a thing I usually don't like but, for some reason, it didn't bother me here...) and each chapter takes quite some time to finish as there is lots of detail in the story; detail of the kind that fits the story (vs. silly, superfluous stuff slipped in for no good reason) that you need, and want, to go through on your way in this great story. And then, finally finished and up comes the Bonus Chapter... the extra chapter is huge! Heck, it's probably as long as some whole games are! No, it can't be that long, but it is long, and fun, and most of all, it's another complete and fun story that also furthers the main story as well. All in all, well done Elephant! I enjoyed this much more than I anticipated I would. It was fun and enjoyable beginning to end; bow to stern! I'd recommend this game to any adult game players. I think my young grandchildren, the ones under 13, would quickly find the level of storyline detail more than they'd be into, and that they'd just find the game boring. It's really a game made for adults in my opinion. Rated 5 out of 5 by SparkleGlow100 from Sophisticated, clever, and rather intense. Continues the occult theme of pursuing immortality. (2016 game) There's a surprise for you concerning Anna Gray's father! I really enjoyed all the character interaction, and there's lots of it. As in other Grim Tales, you'll use time travel abilities. The only thing I'd say is that I wish there had been a few more areas to explore. Occasional unpleasant images. Not for kids. GRAPHICS: Beautiful graphics. Good visibility. A tonal theme of gray, black, washed-out scarlet and hints of pale blue. It worked well and gave everything an old, dated look. Gamma, special effects adjustment options. Full screen or Widescreen. 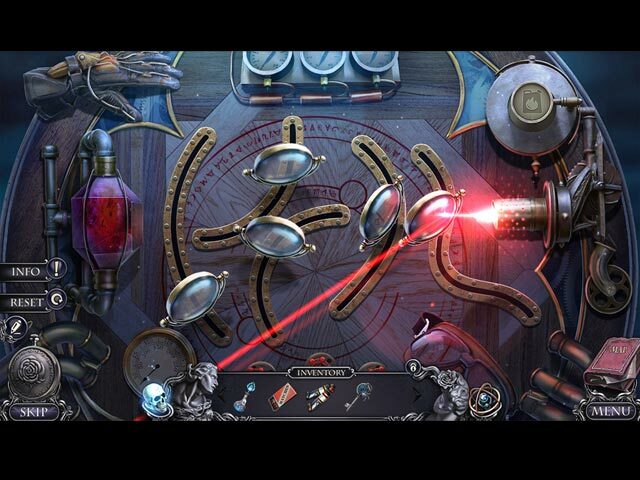 SOUND:4 excellent HOPS: 12-15 PUZZLES: Mix HINT: Guides and Leads DIFFICULTIES:4 choices, and interchangeable. JOURNAL: NONE MAP: TRAVEL with useful indicators INVENTORY: LOCKABLE CHARACTERS: The character interaction was one of the best things about this game. Very cleverly intertwined with the flow of the story. Good voiceovers. BONUS GAME: Was equally enjoyable. Rated 5 out of 5 by Italia47 from Richard is one creepy dude but helpful! Dorian is dreamy! LOL! Dorian Gray, Dorian Black! What the hey! Different names, same dude to me! But so very pleasing to the eye! Great job, devs! He's hot looking! LOL! Can you trust him? See for yourselves! I played the CE version and thoroughly enjoyed the variety of tasks, collectibles, achievements, even after the Bonus Game, there are things to do. 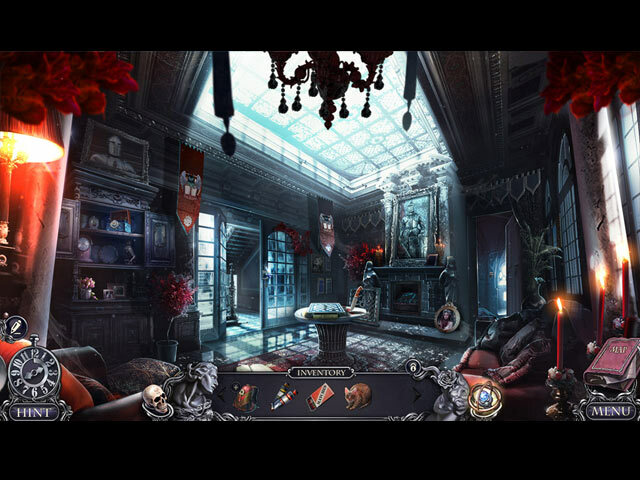 Loved the morphing objects, Hidden Object Scenes, the works. I felt it was a long game and you certainly do get your money's worth on this one. The ending in the Bonus Game, as with most games, is choppy--I would have maintained the writer's but the manner in which the ending was done. I can't tell you the ending, obviously, because I'll get the boot from Big Fish, but it made me chuckle, nonetheless. The flow was what I like in a game; the strategy was right on. Elephant Games, you rock! You did good on this one! This happens to be my favorite of the Grim Tale series! What a great storyline, too. Beautiful artwork, music, and voiceovers were very good. Spooky ghosts now and then! Great special effects! The storyline was very good and it beholding to its name "Grim Tales". Certainly not a fairytale story, that's for sure! I liked being able to travel back n' forth to accomplish the tasks; speaking of back n' forth, I loved the map; the hint button was great if needed. All in all it was a great game and I commend the Elephant Games for their extremely hard work on this one. Very thought-provoking game! I'm a little tired of skulls and blood, but not once did I get bored playing this game! I highly recommend it.